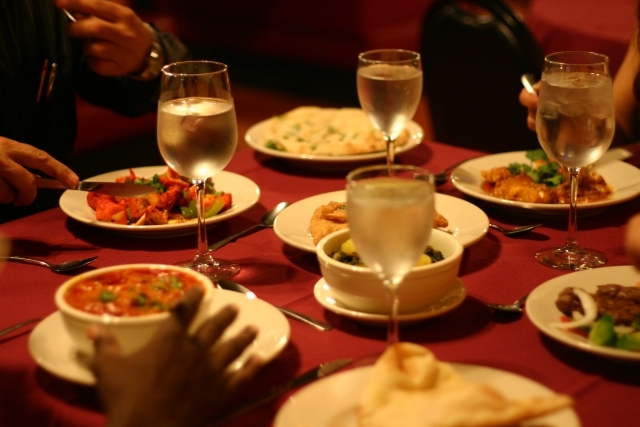 If you are in Orlando, you should visit Sanaa, the best Indian restaurant in Orlando! Of course Disneyworld has magical places to visit, but according to TripAdvisor – the guru site for travellers around the world – this is the place you have to go to taste an Indian flavour. And we explain why. The establishment itself already worths the visit: the wild look of the scenario matches the exotic cuisine. The wooden furniture contrasts with the sophisticated presentation of the food, while the colorful decoration, the green and the animals walking outside can really make you feel in a special place. After all, you will be inside Animal Kingdom Resort, so nothing could complete the vibe better than having some zebras and giraffes walking around. The dinner menu is full of tasty options: from spicy appetizers to complete meals, made of a mix between Indian and African cooking. They also have, of course, delicious typical desserts and four vegetarian meals. Although, if you are intolerant with spice, they even offer free spice meals – just ask the waiter. You can enjoy a family meal there – kids will love the ludic aspect of the place – or go with friends who like some typical music and have a drink (if you are 21 years old or more). The drinks included at the menu vary between South African wine, Indian beer and typical cocktails. To have a drink with appetizers, we recommend the Lounge – it feels cozy and perfect for a happy hour feeling. The prices seems fair: the meals are delicious, different and very well presented. It should be okay to pay for the good service and perfect location. But be smart: the place is usually full of tourists, so we strongly recommend that you make a reservation. Otherwise, there is a risk of not finding a free table. And you could also ask for a sit from where it is possible to see the sunset – it can be an amazing romantic view! Maybe you should take your valentine and surprise him or her with the experience. The restaurant also offers a very unique option: to dine with animal specialists. It is a great opportunity for animal lovers to learn about the wild life. And a limited chance: only 12 guests can join this private lunch. There are some other restrictions as well: to participate, kids should be 8 years old or more and also be accompanied by an adult. Also, the special meal includes a $5,00 contribution to the Disney Worldwide Conservation Fund. Another option is to visit the restaurant at Thanksgiving Day. During this holiday, they offer more than 54 dining options! Although, availability is limited, so you should really consider to make an online reservation for this day. Yes, it is only at November 26, but you should keep in mind that this can be a specially crowded day.